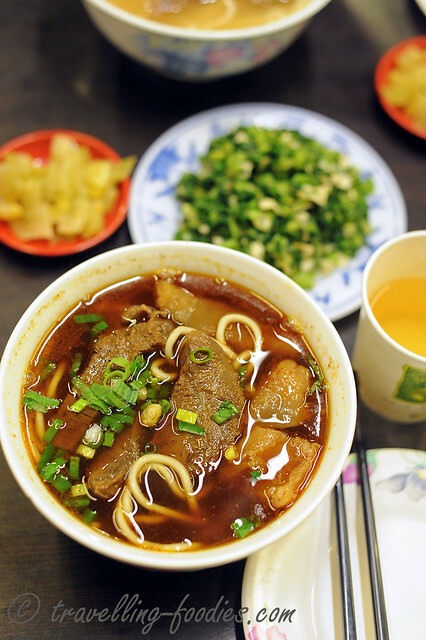 There are many iconic foods in Taiwan which one has to try. From aboriginal cuisine to classic Hakka dishes, the small island nation has much to offer. One of the food which I always make it a point to try whenever we are in Taiwan is their beef noodles, sampling different joints whenever possible, so here we are at 老张牛肉麵店 Lao Tzang Beef Noodles at Yongkang Street area. 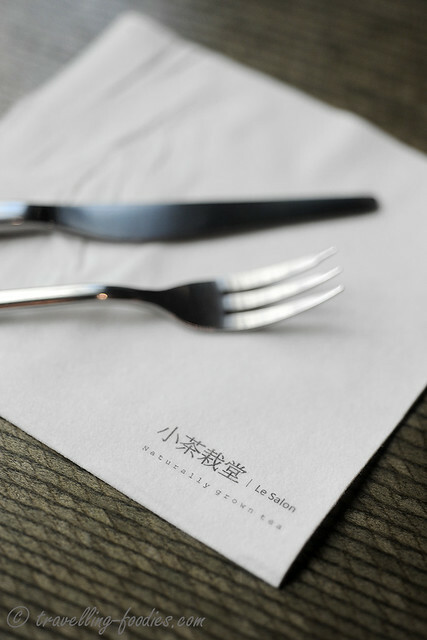 Whenever we visit Taiwan, apart from going back to some of favorite eating places to relive the gastronomic experience, we also love to try out new joints which we’d not been to before. 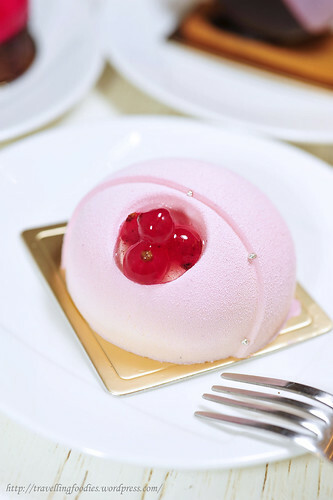 Truth be told, it’s not our first visit to 珠寶盒法式點心坊 Patisserie Boîte de Bijou. As one of the pastry shops with better quality creations around, Bijou has been constantly “upgrading” themselves, not only with their breads and cakes, but also their shop front to give folks that sense of novelty and “freshness” whenever they pay Bijou a visit. Yongkang Street 永康街 lies within the Da’an district 大安区 in Taipei, a semi-residential and business area. It is one of my favorite places in this bustling city as it is dotted with a variety of unique shops, restaurants, cafes and tea salons where one could simply hang out leisurely for a few hours amidst all the sight-seeing and shopping. It is symbolic of the kind of lifestyle which many younger Taiwanese now very much look forward to or are striving for, where one could afford the time to smell the flowers, admire changes of the seasons, rest the mind and tame the soul. Unfortunately over the last few years, no thanks to the opening up of tourism regulations for visitors from across the straits to visit Taiwan, Yongkang street is slowly being overrun by the Mainlanders, epitomised by the long queues outside 鼎泰豐 Ding Tai Fung and 永康牛肉麺館 Yong Kang Beef Noodles, not to mention the noise and rowdiness they bring along with them. However, as the Taiwanese locals strives to live out their own lives the way they’d wanted, it is still possible for find quaint spots of serenity in the vicinity of Yongkang Street where 慢活 “leisure life pacing” is still the abiding philosophy. 永康街 Yong Kang Street in Taipei’s 大安區Da’An District is not merely known to many as a single road but rather, a collective network of interweaving small lanes packed with interesting restaurants and cafes to visit. Its famous for many things, most notably as the birthplace of 鼎泰豐Ding Tai Fung, known for the 小籠包 xiao long bao steamed dumplings. DTF’s flagship store still helms the entrance of Yong Kong Street, often seen packed not just the restaurant within but also along the corridors, with tourists from Mainland China brought here by the tour bus loads. But we are not here to eat xiao long bao. I’m sure there’s a better place and better occasion for them. 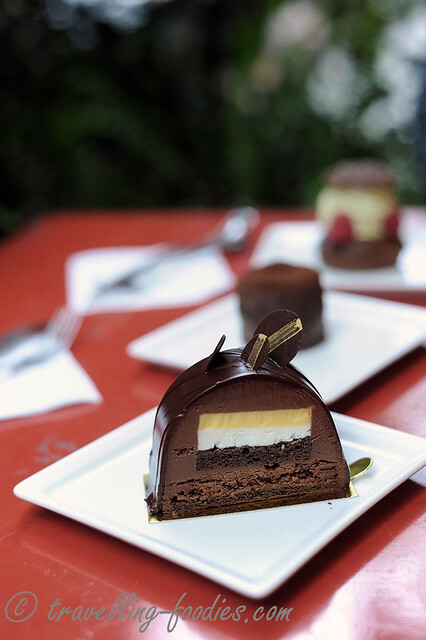 Instead, we are to visit “Pâtisserie La Douceur 品悦糖 – 法式甜品专卖” one of the pâtisseries we’d come across quite frequently over our research for the last trip. Since we would be visiting them again in 2 weeks’ time, I thought I’d better roll out the write up for last year’s visit first!